Is quit impressing seeing Nicki Minaj and the Little Mix women pen new songs for the sake of their album. What a hasty teamed collab. as the track finally surfaced online with any notice. Lyrically, we count on Nicki as she cooked on the Like Me Song beat as well the four women also contributed their song. 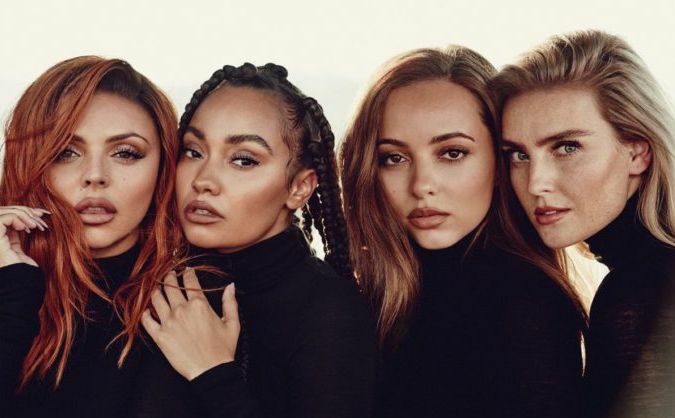 Fan are desperately hungry about the new project from Little Mix although they are yet to give us the opt about the upcoming pro work which has an unverified name as LM5. Fans claimed the album name to be LM5 but Little Mix keep name on radio silent but as we wait more further, Nicki Minaj with Mix Ladies keep us busy with a new turn which you can stream and Listen below. Minaj and Bardi has had a very nasty year and both has been featured on new respective song. While the NY fight fueled itself about their brawl,both has verbally slammed on side to side using social media as a weapon.